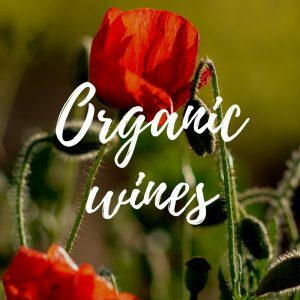 Celebrating European organic wines on Earth Day 2019! 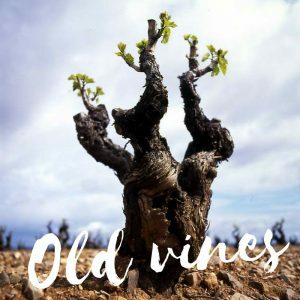 Home/Uncategorized/Celebrating European organic wines on Earth Day 2019! Currently, there is no doubt why organic wines have been on the rise these past years: fewer chemicals, kinder to the environment and less powerful consequences. This fever is due in part to an increase in the number of young talented winemakers actively seeking out for organically grown grapes, which now can have their own space in farmer markets, small wine bars and in the mouths of interested wine lovers. But what most of these don’t know, it’s that organic has its birthplace in the Europe. Originally, European winemaking and terroir have allowed grapes to be treated with no sulfates nor aggressive irrigation. In this scenario, Garnacha (a.k.a. Grenache) has come out be one of the main grapes producing organic wines, due to its versatility and adaptation to extreme climate conditions and terroirs of its birthplace (In Spain in the PDOs Campo de Borja, Calatayud, Cariñena, Somontano and Terra Alta and in France in the AOPs Vins de Roussillon). The most eco-friendly grape in the world? Well, in the vineyard, Garnacha/Grenache Old vines drought resistant, adaptable and self-sustaining. In fact, we could say it’s a survivor that auto-regulates its needs in poor soils in extreme temperature climates and adapts its production, giving extraordinary concentration. Also, its strong roots delve deep into soil’s natural resources, being a water-stress variety. The varietal is perfectly adapted to the natural conditions of dry healthy winds that prevent diseases such as mildium and oidium, and consequently the use of sulfur treatments during the year. Moreover, altitude old vines vineyards have proven to resist the effects of climate changes on its production. European producers have understood that Garnacha/Grenache needs to be challenged, forced to sink deep into the soil to look for humidity and nutrients in order to produce high-quality grapes – they thus limit water waste (avoiding irrigation), making wine more sustainably. Some producers, are even successfully experimenting with Garnacha/Grenache without sulfites. For instance, some PDOs lying in the land of Garnacha such as Cariñena have already used sexual confusion for grape moths, to eliminate the use of insecticides and their consequent contamination to the environment – and, in parallel, to obtain healthy vineyards without any pests or diseases. In fact, they’re even developing a non-invasive ultrasound system for field studies of the water status of the vines for optimized irrigation, which aims at checking the water stress of the vines so that irrigation is only used when necessary, thus improving the quality of wine and reducing water consumption. Under the EU organic farming logo, the European Union has developed a regulatory framework that provides conditions under which the organic sector can progress in the line with production and market developments, thus improving and reinforcing the EU organic farming standards and import and inspection requirements. The main objective of the European logo is to make organic products easier to be identified by the consumers. Next to the new EU organic farming logo, consumers are informed about the place where the agricultural raw material used in this product have been farmed and a code number of the control authorities is also displayed.